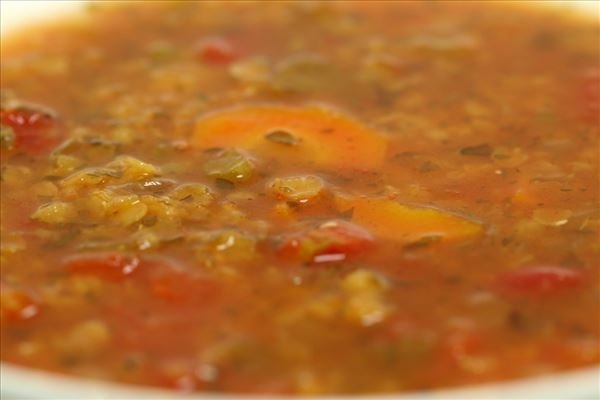 This recipe originally contained brown lentils, but as they could not be purchased in a normal supermarket, they have been changed to red lentils. 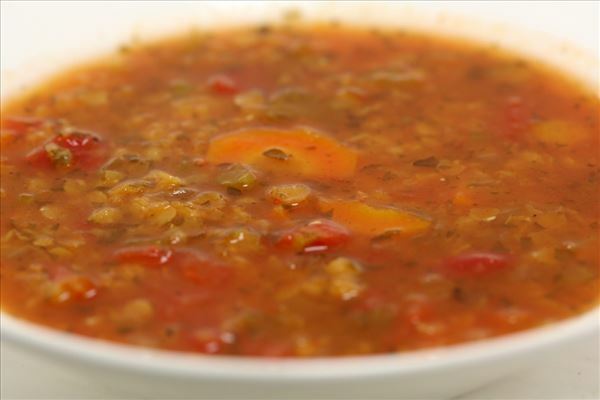 Rinse the lentils thoroughly to remove any dirt or stones and pre-cook in lightly salted water for 30 mins. (if necessary). Read the instructions for the total cooking time on the back of the packet. If the lentils only need 20 mins. until they are done, they do not need to be cooked first, but can be added directly to the soup. Peel and slice the carrot. Peel and chop the onion. Rinse and chop the parsley. Rinse the celery and cut the stalks into slices. Put the stock, carrot, onion, peeled tomatoes, tomato purée, parsley and lentils in a pan. Bring to the boil, cover and simmer for approx. 25 mins. 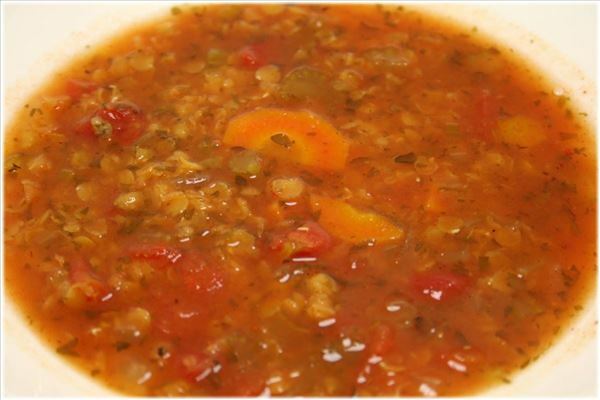 If you have not pre-cooked the lentils, the soup will need to cook for the time given on the lentil packet. Season with salt and pepper. Serve the soup with bread (optional). Powered By Scale Soft Version 1.3.3.0, 0.58 s.